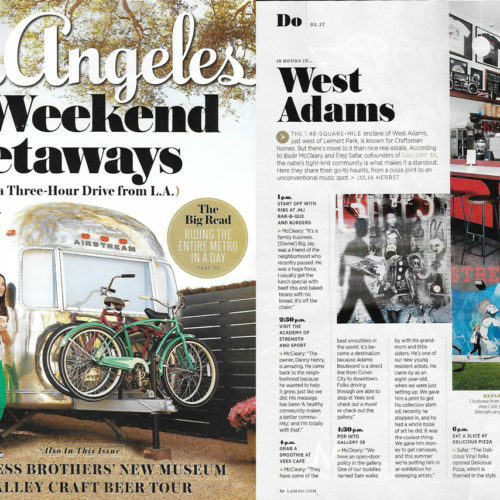 We couldn’t be more excited to find Gallery 38 co-founders, Badir McCleary and Erez Safar featured in this months Los Angeles Magazine. 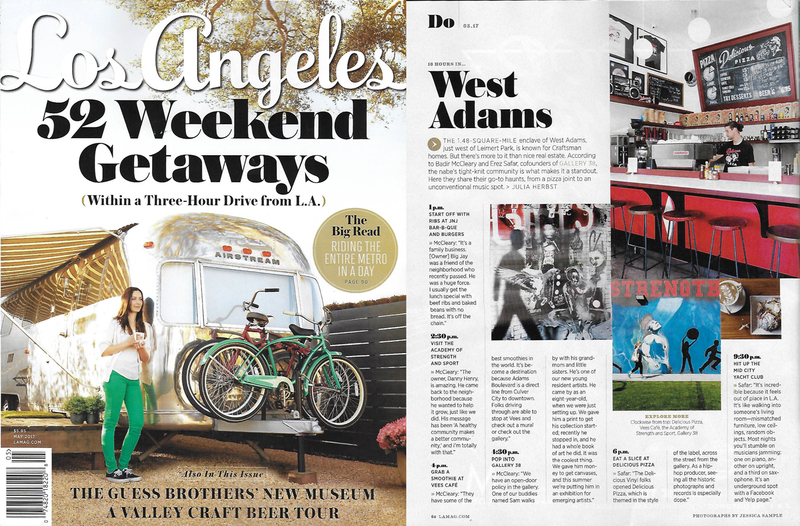 Pick up your copy today and read about why they love the community work they do in West Adams and discuss some of their favorite place in The neighborhood, other than the gallery of course ;). Shout out to Delicious Pizza, JC Tires and the whole neighborhood!